#G187* – In What Way Is It A SUPREME Court? Isn’t the badge pretty, such a pity it isn’t for a tour guide at the Olympics or some other utter irrelevance – ‘Get the bus to the Supreme Court just one two stops after the Tennis Court and the stop before the Racket Courts’. Surely it can not be relevant to the Law Courts of Britain, pretty as it is since it doesn’t bear either The Royal Crest or even a Royal Cypher. 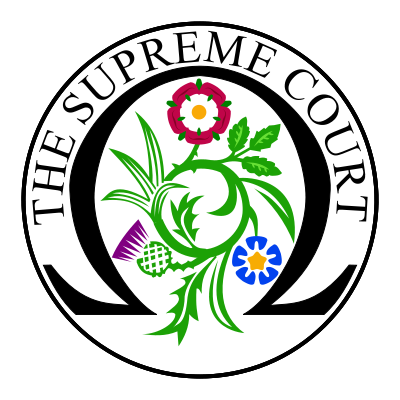 To launch a new British Supreme Court more than somewhat misrepresent the facts – though entirely understandably, in the light of the duplicity and betrayal by our politicians from the Lib.Lab.Con., who are merely shades of the same shame in their sell out to alien and undemocratic Governance by the corrupt, unaccountable self styled bureaucrats of Brussels. Lord Justice Phillips in the opening of The Supreme Court in Britain, newly opened as A Supreme Court divorced from The Courts of Appeal which were linked to The House of Lords – astonishingly in his speech Lord phillips was so completely out of touch with the realities he utterly forgot to mention that this new so called Supreme Court is merely a stepping stone in the EU structure! The decisions of the Supreme Court must legally be compliant with EU law and appeal from the decisions of The Supreme Court is made to the Courts of The EU. Thus where better to have your final appeal against imposition of EU law turned down than the EU’s unjust Courts where Corpus Juris pertains as ‘a better simpler system of repression in a largely unified EU judicial area’ to QUOTE Directorate Generale 20 of the EU, ISBN 2-7178-3344-7. Clearly the new British Supreme Court has all the relevance to ‘Supremacy’ that Chicken Supreme on a menu has to egg laying. Lord Justice Phillips would seemingly have deliberately misled the British public one assumes either in response to bribes from the corrupt EU for his obfuscation or for his personal agrandisement. I believe in reality The Irish Supreme Court might as well be on a menu for all the good it can do IF The Lisbon Constitutional Treaty is endorsed. Clearly no man can ride two horses other than as a stunt, no more can a Country have two Constitutions & this new EU Constitution will clearly take supremacy. Already the EU has been able to order Ireland to overturn its own democratic decisions and hold votes again. Clearly The British politicians are all too aware their behaviour is shameful, underhand, treacherous and a betrayal as they do all in their power to obfuscate all matters EU, even going to the length of endless ‘double speak’ of their Brave New World in the realisation that the entire concept is a monstrous and obscene imposition striving towards ABSOLUTE political power in a ‘Post Democratic World’ – such that they fear a Referendum on matters EU because they KNOW they would loose since the politicians are not only out of step with the public but shamefully self serving. It used to be called Treason!